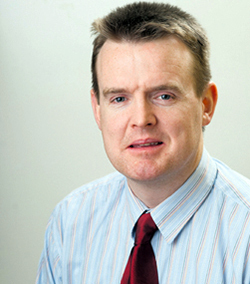 Mayor of Clare Joe Arkins failed to be re-elected despite party colleague Joe Cooney topping the poll. Photograph by John Kelly. Mayor of Clare, Councillor Joe Arkins was “disappointed” but not bitter over his shock exit from the local authority in the early hours of Saturday night. Councillor Arkins was eliminated after the seventh count in the Killaloe Municipal District with 1,116 votes. In fact, the outgoing mayor showed he hadn’t lost his sharp wit and humour, despite being the highest profile casualty of the 2014 Local Election. “I think my wife is at home at the moment writing up a list of jobs for me to do that have not been attended to for the last 15 years,” he joked. Next week he plans to be busy with the Fleadh Cheoil and has other duties he hopes to catch up on over the coming months. The outgoing Fine Gael Councillor could have lashed out at the party hierarchy over its vote management in East Clare and its failure to carve up the area between their three candidates -poll topper, Joe Cooney and Councillor Pat Burke. However, he opted to leave questions about the Fine Gael stategy in East Clare to the “party strategists”. Describing Joe Cooney as a “vote magnet”, he pointed out the only ballot paper the O’Callaghan’s Mills man could control was his own. “There is 24 hours in my day, there is 48 hours in Joe’s day. He is an absolute legend in the way he works. After the election is over and the votes are counted, it is very easy to come back and say, you should have done x, y and z. The wisdom is hindsight is 20:20. “I had a great year as Mayor. I was mayor when we won two All-Ireland senior and U-21 hurling titles. I was mayor for the year of The Gathering, Brian Boru 2014 and Mayor in New York for the Tulla Pipe Band, which was another great occasion. “I enjoyed what I was doing for the last 15 years and I would not have stood for re-election only I enjoyed doing it. I am not emigrating, I am not going to join an enclosed order, I will be still be a member of the community,” he said. 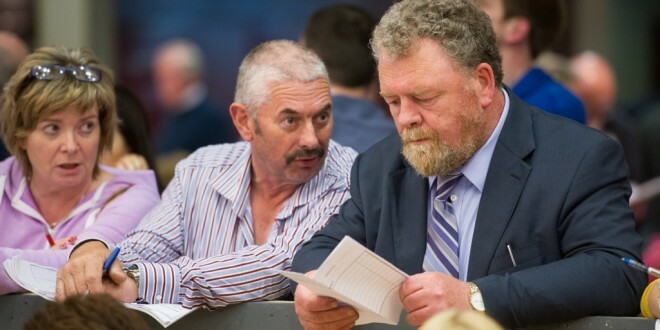 Councillor Arkins admitted he could have opted to have gone to the West Clare Area Convention and followed almost 1,000 votes but insisted he wasn’t a “mercenary”. However, the most important issue for him was to be able to remain in the Killaloe Municipal District and represent his own parish of Ruan. 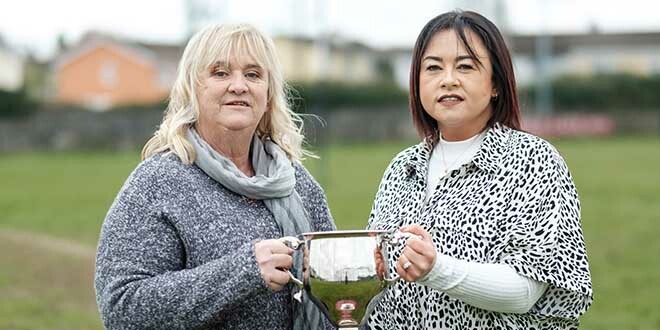 The former Ennis Hospital Development Committee secretary admitted he was always facing an uphill battle trying to get elected in what was new territory with about 440 from the old Ennistymon Electoral Area. Despite not being elected, he was pleased to see his vote had increased in Ruan and doubled in Tubber and Boston and more than doubled it in New Quay. “If I couldn’t run in my own area, I wasn’t going to run. It was a very big ask, particularly as I was Mayor, I had a very little opportunity to canvass and there was a lot of evenings when I had duties as Mayor. “After my 15 years as a councillor, I feel vindicated in that my local vote has been increasing all the time. Unfortunately, it was a big ask, it didn’t work out but life goes on,” he added.